Used car buyer beware! That shiny used car with low mileage might look like a good deal, but take care that you aren’t buying a flood damaged car. It’s estimated that some half million vehicles were flooded in Texas and Louisiana during Hurricane Harvey, and there are sure to be many more after Irma. Resellers can be pretty good at the cosmetics so you could be deceived – engine and electrical problems may not be readily apparent. The National Insurance Crime Bureau (NICB) defines a flooded vehicle as one that has been completely or partially submerged in water to the extent that its body, engine, transmission or other mechanical component parts have been damaged. According to Ronny Pucino, a body shop owner in Rhode Island, there are three main elements in a car that are affected by flooding: the upholstery, the engine and the electronics. The extent of any damage depends largely on the level of water that the car experienced. Cars that have had wheel-top level damage may be able to be salvaged if the owner acted quickly to address the damage. But when water reaches as high as the dashboard, it is more likely that the engine and the electronics have been compromised and the car will be unsalvageable. Being alert for flood-damaged cars should be of concern to all used car buyers, regardless of geography. Often, damaged cars are professionally refurbished and shipped to other parts of the country to be sold. 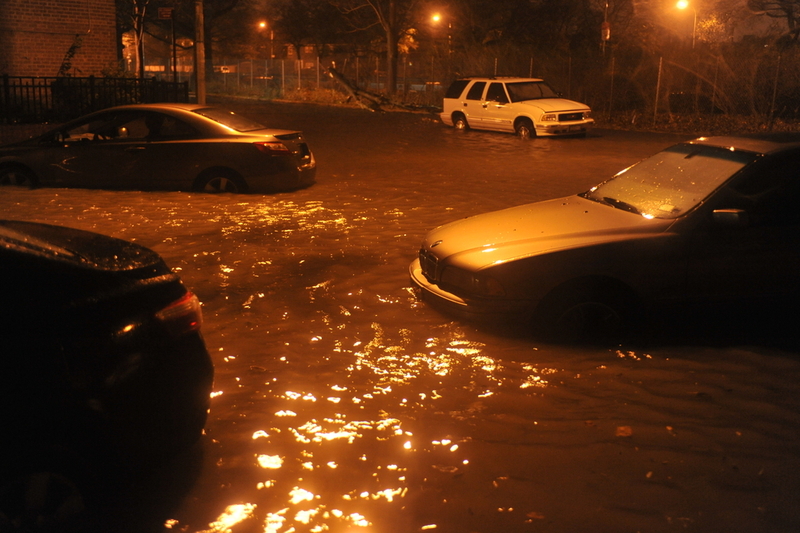 Experts say that flood-damaged cars end up going to places where consumers won’t be likely to be on alert. Even when cars “clean up nice,” they may well have electrical or engine damage. Flood-damaged vehicles often surface in auctions and “for sale by owner” scenarios. Edmunds.com offers good tips on how to avoid buying a flood damaged car. They present 6 tell-tale tips, which we’ve summarized, but click on the article for more detail. 1. Get a vehicle history report. 2. Be alert to unusual odors. 3. Look for discolored carpeting. 4. Examine the exterior for water buildup. 6. Be suspicious of dirt buildup in unusual areas. Look under the hood for signs of oxidation. Pull back rubber boots around electrical and mechanical connections for these indicators: Ferrous materials will show signs of rust, Copper will show a green patina. CARFAX offers more tips for detecting and avoiding flood-damaged cars. They also offer vehicle history reports for a fee, which could be a worthwhile investment if you find a car you’re thinking of purchasing. One other consumer service is the NICB’s VINcheck, a free service provided to the public to assist in determining if a vehicle has been reported as stolen, but not recovered, or has been reported as a salvage vehicle by cooperating NICB members. You must have the Vehicle Identification Number (VIN) to perform a search, and a maximum of five VINCheck searches can be conducted within a 24 hour period. Any liens held on the vehicle. Whether a vehicle was determined to be a lemon.